I’d been looking forward to the day. 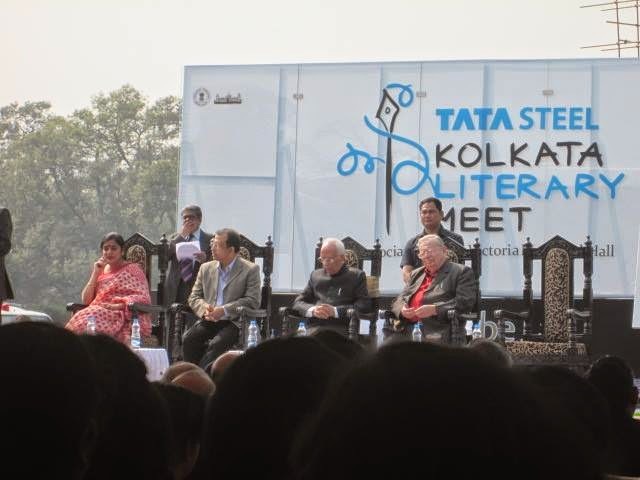 Ever since the Kolkata Literary Meet, named Kalam 2015, had made their schedule for DAY 1 public. One name had reverberated through my mind the whole time: Ruskin Bond. I would finally get to meet the man who had given me my first childhood crush. Over the years as I read more and more of his novels and short stories and poems, I fell more in love with his work. 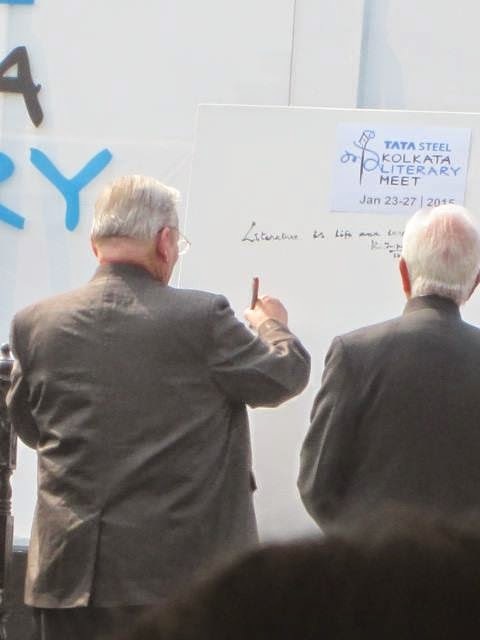 I’d heard from quite a number of people that Mr. Ruskin Bond is nice enough to meet people if they take the trouble to go all the way to Landour, Mussoorie. Someone just told me how he’d run into Mr. Bond in a book shop there and chatted with him. And another one had missed her chance by a hair to engage in conversation with him. 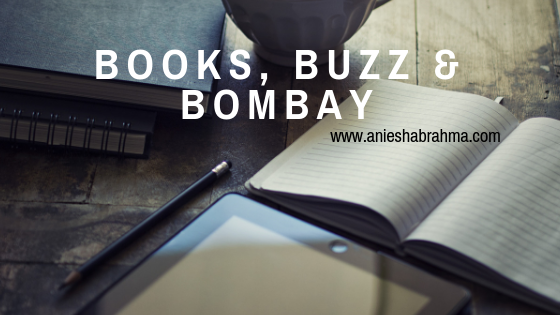 All these stories inspired me to simply pack my bags and set off for the hills, when he arrived in tangible distance from me. It was finally the morning of 23rd January. My friends and I were seated, eagerly waiting for the Lit Fest to officially start. 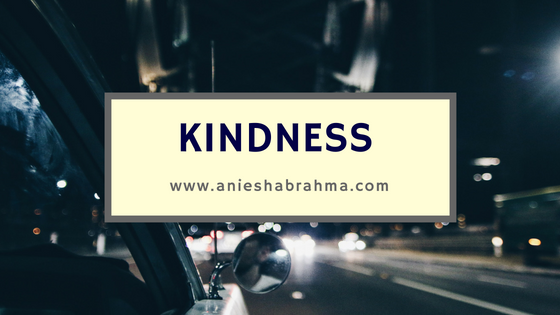 When Chiquita pointed Mr.Bond out to me...that was how I got my very first glimpse of him – the storyteller who had filled my childhood with wonder. When he spoke I remember grinning from ear to ear because of the wit he possesses. And once the session of Bond for a Lifetime began, I could barely suppress my happiness. I was hanging on to every word he was saying, hoping against hope I could talk to him just once – if he sat down to sign autographs. A few of the things he said still lingers in my mind. When he was asked if the stories he told were true and if there were real life counterparts for his characters, he chuckled, “All fiction writers are liars.” His belief is that all writers are influenced by incidents in their lives and people inspire them, and some of their characters get based on them. When asked about if he believes in ghosts, he expressed his disappointment about never meeting any ghosts in real life. He said people like reading ghost stories for the thrill, yet having the comfort they’d never have to go through such situations in their own lives. Ruskin Bond was also asked if the places inspired writing, and he said places have little or nothing to do with writing. You can sit in a blank room and come up with a wonderful story! Finally, what I loved most, was the advice he had for ‘young writers’. The only way to succeed would be to keep writing. He shared funny anecdotes about a publisher in Delhi who’d get a heart attack and admit himself to the hospital, every time Mr. Bond would write to remind him about his royalty cheque! The most important thing one should remember when they aspire to become writers, is to write everyday! 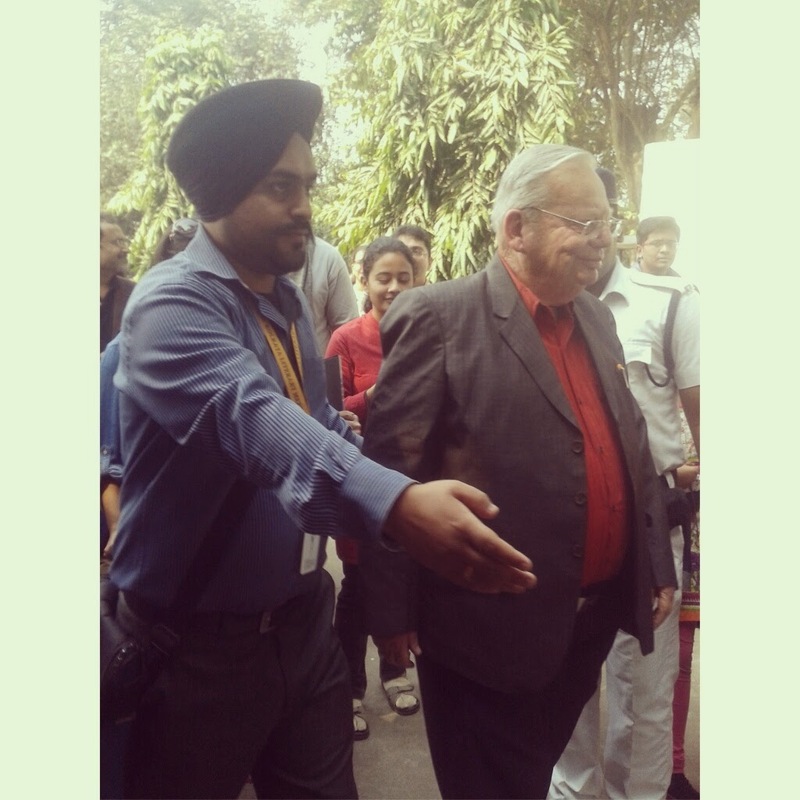 I loved listening to Mr. Ruskin Bond speak and answer the childrens’ questions so sportingly. (A little girl had asked him where he got inspirations from and he answered, ‘From little girls like you!’) While I can cross of seeing Mr. Ruskin Bond in person off my bucket list, I still have ‘in conversation with Mr. Bond’ unchecked on it! 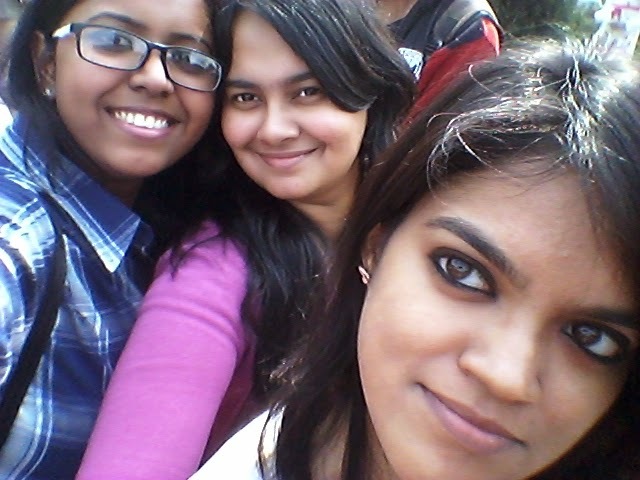 With Swarnali & Drisha...waiting in line to get our Bond books signed! 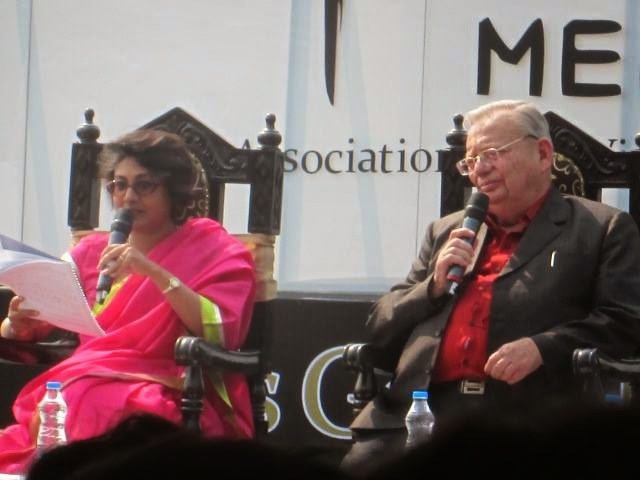 Did you go to Kalam 2015 for the Ruskin Bond session? If you did, tell me what you thought of it in the comments section below.